The first year of a puppy's and kitten's life is very important. Why is the first year so important ? Pets inherit a natural immunity from their mother that protects them at birth, but it begins wearing off at six weeks of age. The first year of a pets life is when they are most vulnerable. Immunizations, deworming, and sterilization procedures all occur in that first year to help protect your pet and create a healthy adult. As owners, we want to do what is best for our pets but all that can be overwhelming. 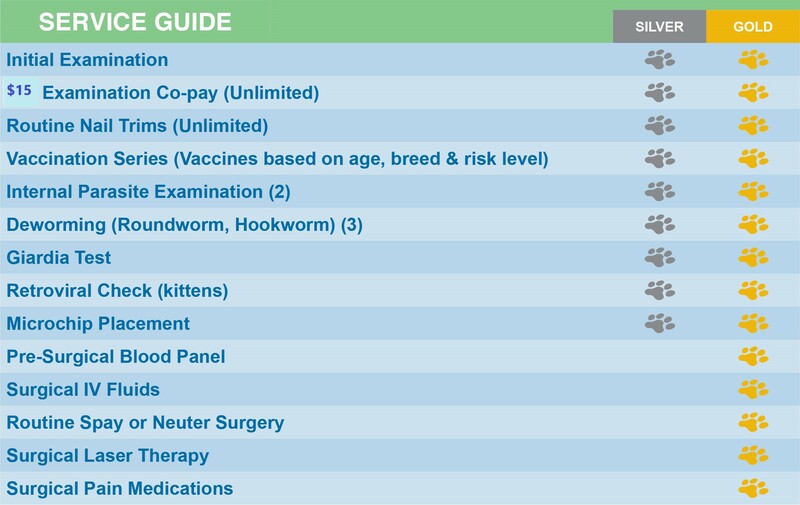 These plans allow you to give your pet the preventative care it needs while making monthly payments.